Authored by ngraham on Mar 12 2018, 4:39 AM. 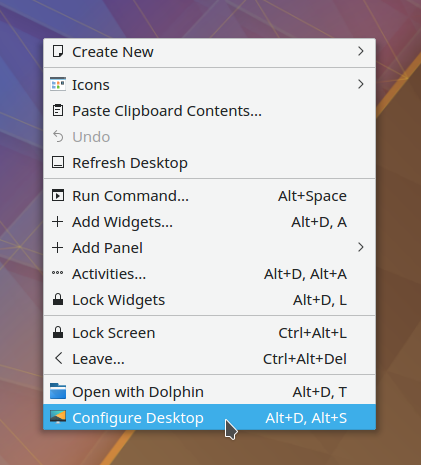 Use an icon that looks like it might be related to changing the wallpaper for the Configure Desktop menu item. This slightly improves discoverability for changing the wallpaper. Windows has the word "Personalize" which is quite descriptive. 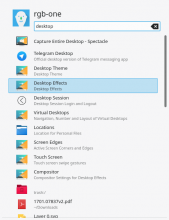 "Customize Desktop" sounds fine as well. but I think the word "Configure" is used more often throughtout the Plasma desktop. 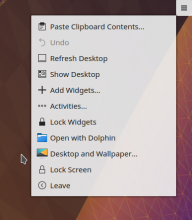 How often do you see users complaining about not knowing how to set the wallpaper? If they know what a desktop is then they should be able to figure it out. Similar to Windows it is accessed via a right click context menu. How often do you see users complaining about not knowing how to set the wallpaper? They also throw so many functionalities at your face, but basic things like right-click and set as wallpaper is not there. 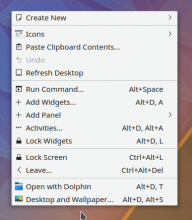 Kde was built by developers for developers. I wonder if one should dumb down the interface to accommodate this word scanning habit, where one doesn't really read stuff one just scans the screen for a keyword and then gets frustrated when the keyword (like "Wallpaper") doesn't show up . Well if it works then fine. The proposed text is quite long though. Heavy -1 for making the menu way too wordy. On a meta-level, it's also really bad form to argue for patches with anecdotal internet comments, even if they haven't been misunderstood in the first place. We really don't need the drama. Even if I misunderstood the comment (oops), shouldn't we listen to our users? This patch wasn't based entirely on that single comment; rather, it was an example of a pattern I've noticed over time: that our users have difficulty finding how to change the wallpaper. That impression comes predominately from online interactions with actual users. It's hard for me to see how that would be invalid, in the aggregate. If this isn't the right approach, I can accept that, but I believe that we need to do something for wallpaper configuration discoverability. I'm open to ideas. maybe an i18nc in which in the context one says "plz keep this as short as pssible bcause is a context menu"
"plz keep this as short as pssible bcause is a context menu"
So what's our path forward here? We have some positive votes and some negative votes. Do we need to first have a wider conversation on wallpaper discoverability and then later circle back to something we can all agree on? 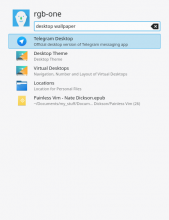 what about as text using Configure-desktop and as icon preferences-desktop-wallpaper? A big part of the desktop experience is the wallpaper so this looks good. 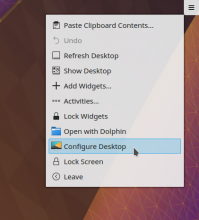 The Wallpaper setting is the first option in the "Configure Desktop" window and I think it's that way because people really use this feature. 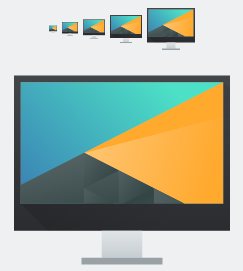 Having this as the wallpaper icon beside "Configure Desktop" gives a good hint that setting the wallpaper is a function of "Configure Desktop". 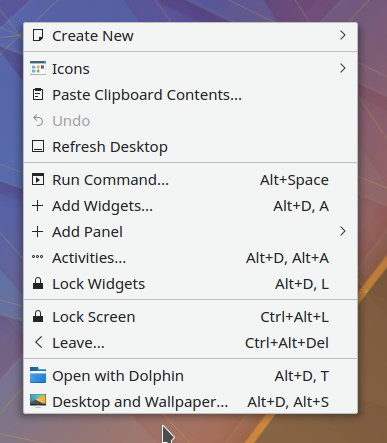 Also, on a different but related note, how about a preferences shortcut for "Desktop Wallpaper" (or some other suitable text) searchable from the start menu and krunner? This would be similar to the other desktop preferences that are searchable like "Desktop Theme", "Desktop Effects", etc..
Also how about a preferences shortcut for "Desktop Wallpaper" (or some other suitable text) searchable from the start menu and krunner? 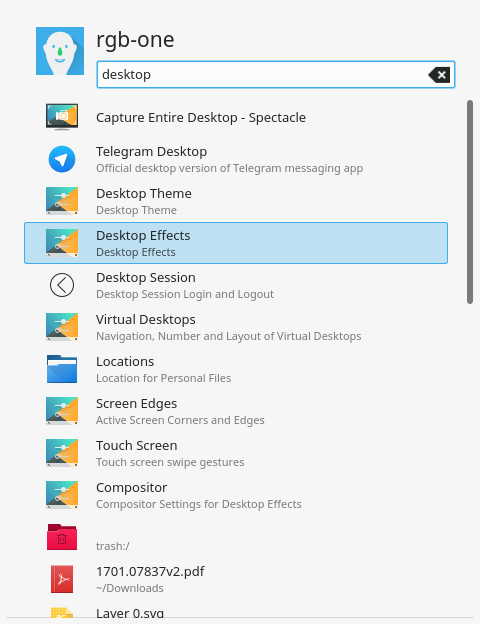 This would be similar to the other desktop preferences that are searchable like "Desktop Theme", "Desktop Effects", etc.. There's a pre-existing discussion on bugzilla about the latter comment. 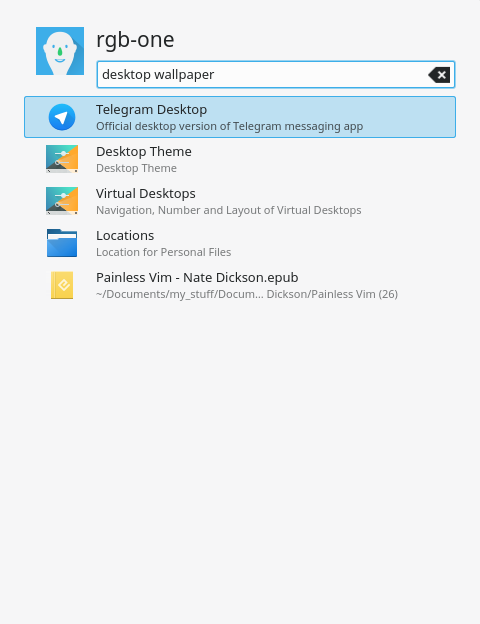 ngraham retitled this revision from Add the word "Wallpaper" into the context and Toolbox menus to help users figure out how to change the wallpaper to Improve discoverability for changing the wallpaper. Since wallpaper is a feature of the desktop I don't think mentioning wallpaper in the context menu title is necessary. "Configure Desktop" sounds a little technical but with the wallpaper image beside it it should be more clear. the word "Configure" is used throught plasma so maybe that's a case to work with it. Since wallpaper is a feature of the desktop I don't think mentioning wallpaper in the context menu title is necessary. The entire point of this patch is my assertion that making the mental leap "desktop contains wallpaper" is too high a bar for many users. It's obvious for developers like us, but for normal users, it's... less than obvious. the word "Configure" is used throught plasma so maybe that's a case to work with it. That was what I started with, but people thought "Configure Desktop and Wallpaper" was too long. I just asked my sister who has never tried to change the desktop wallpaper on a computer before to change the wallpaper on Plasma and...she could do it, quite easily. She right clicked, read the menu options, and chose the one that made sense. I think you underestimate the general user. Is everyone still ambivalent about this? Is there anything I can do to make it more palatable, or should I give up? The preferences-desktop-wallpaper icon beside "Configure Desktop" works.